women’s emancipation and civil society organisations: challenging or maintaining the status quo? The editors of this innovative anthology set out to examine how social movements and civil society organisations (CSOs) contribute to women’s emancipation. In particular they question whether CSOs challenge or maintain the status quo. A key message of the book, explored in depth in the second chapter, is the distinction between empowerment and emancipation. Empowerment is defined as transferring power and authority to women, whereas emancipation is about freeing ‘from restraint of any kind […] to terminate paternal control’ (p. 11). The editors identify two approaches to emancipation: one is redistributive and makes existing institutions and structures more accessible. The other is more radical, a deconstructing and remaking of those structures. Schwabenland et al. conclude the anthology by highlighting four ‘strategies for action’ encompassed by the CSOs studied (p. 354). Two of these strategies stand out in the way that they align to the dualism of emancipation. The first of these is most prevalent in Africa and the Middle East, where organisations attempt to work within the dominant framework to reinterpret aspects that can be oppressive, for example the Moroccan faith-based organisations explored in Aura Lounasmaa’s chapter (pp. 255–276). In contrast, the second type of organising appears where groups have the ‘capacity to challenge dominant cultural practices’ (p. 356), particularly where they can ‘appeal to democratic traditions’ (ibid. ), such as La Barbe’s dramatic and humorous use of false beards highlighted in Fabien Hildwein’s chapter (pp. 112–134). The contributors avoid making sweeping moral judgements about these tactics; however, they do warn against conflict over strategy within feminist movements, particularly between those who operate within and those who operate against dominant frameworks. Throughout the collection, they also highlight a narrative that organisations risk colluding in, and reproducing, the structures that marginalise those they seek to liberate. Sally A. East and Gareth G. Morgan’s chapter examines how through women’s entrance into the workplace, and in conditions favourable to them (for example into CSOs themselves), they may entrench conditions that disadvantage women such as lower wages, insecure employment and fewer job prospects (pp. 299–320). Drawing together two distinct disciplines of gender studies and CSO research, the editors attempt to address some of the shortcomings of often gender-blind research into social movements. A strength of this book is how the authors overcome gender studies’ inclination to become overly theoretical. Taking an empirical approach (influenced by the civil society research field) renders this collection of case studies more accessible than much of the feminist literature it references and which influences it. Most importantly, this makes the questions and ideas it proposes feel relatable and human. 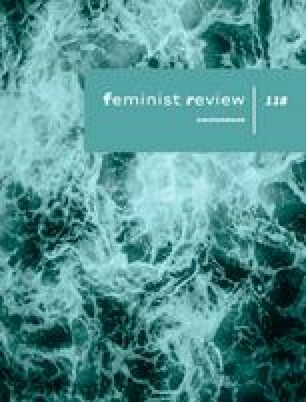 The editors have collated a global range of case studies, highlighting social movements by and for women, in parts of the world often portrayed by Western feminism and international initiatives as disempowered. Not only does the book amplify a voice for these regions and avoid the homogenisation sometimes present in other approaches, but it also demonstrates that these movements are often long-standing and interwoven with other forms of organising and tradition. In Chapter 8, for example, Charisma Acey discusses women in the Niger Delta using a traditional tactic of threatening to strip naked in order to force oil companies to be held accountable for ‘environmental destruction brought on by […] irresponsible practices’ (pp. 157–181). A laudable feature of the book is how it highlights the criticality of women organising in their own communities on issues and in ways that are (culturally) most relevant and appropriate to them. This is in contrast to what the editors call the ‘damage done by probably well-intentioned but condescending initiatives imposed by the west’ (p. 352). At the same time, the editors raise their concern that these localised efforts will be limited in impact unless they add to, or are part of, a broader movement (ibid.). As many of the examples are very contextually dependent, the anthology does not provide clear lessons about effective organising that can be extrapolated and applied elsewhere. Yet this is also one of the editors’ key messages: organising is not effective if it is not culturally, socially or contextually relevant. It would be interesting to see how the editors’ broad conclusions might be translated into future organising and further policy making. The book ends with a rallying cry: ‘Progress is not linear; eternal vigilance is always required. New models of resistance will continue to be necessary. We all owe it to our embattled sisters to continue the struggle’ (p. 358). Although academic, this book is at its heart a piece of feminist praxis. It is about activism, in all its complexities, and it is for activists—and I hope readers will find this work not only as useful, but as engaging and motivating as I did.